This is the year that the hard work on translating the Sustainable Development Goals (SDGs) into action gets started, and countries got a first chance to learn from each other’s experiences at a first international review meeting on SDG implementation at the UN in New York last week. The 2030 Agenda and the SDGs are arguably the most ambitious framework for global development that the United Nations has ever enacted. Agreed on by virtually all UN Member States, they provide a blueprint for a near-perfect world – where the needs of societies and the planet are kept in careful balance. Unlike their predecessor, the Millennium Development Goals, the SDGs go far in integrating environmental, economic, and social concerns. Herein, however, also lies their key challenge: realizing their potential for transformation will require careful attention that gains in one department will not entail losses in another. They are not a list that you simply start ticking off. Instead, positive knock-on effects are what is needed. In other words, only when taken as a cohesive whole by countries will the SDGs have a chance of being met. 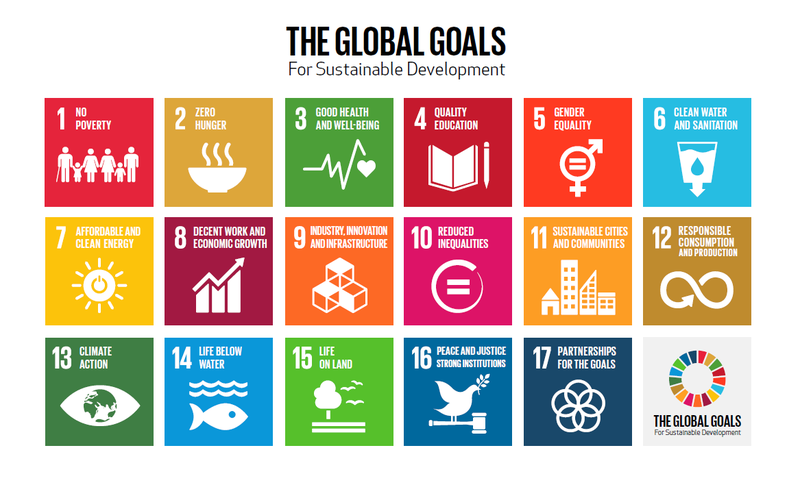 What was clear from last week’s High-Level Political Forum (HLPF) at the UN is that countries still lack a way of translating the SDGs framework into meaningful and efficient action at the national level. Countries reported that they have not come far in terms of taking action, and many are still figuring out what the policy implications of the SDGs are for them. The integrated, indivisible nature of the SDGs creates an immense challenge for policymakers, who tend to be organized into silos represented by ministries and agencies. If countries cannot start ticking the goals off, one by one, how will they be able to make sense of this tremendously ambitious agenda and its 169 targets? Understanding the interactions between goals and targets, identifying where key trade-offs lie, is crucial to making the SDGs work. But also where different goals reinforce each other. In a recent commentary in Nature and an ICSU working paper, we propose a framework that is built around a seven-point scale that characterizes the range of positive and negative interactions that can occur across goals and targets, from one goal counteracting or even cancelling another to one creating the conditions or even being indispensable to the achievement of another. It is essentially a simple tool for policy-makers applicable at different scales to achieve policy coherence. While rating the goals on a scale gives useful insight into understanding interactions, it is important to note that the extent to which goals and targets support or conflict with one another will depend on the local context and a range of other dimensions such as geography, governance arrangements, technology. Identifying and understanding these connections is essential for the development of smart policies, and our framework adds additional dimensions that further clarify the nature of the interactions. Making progress across the board will require balancing trade-offs and enhancing horizontal collaboration. Some countries such as Sweden or Colombia are innovating at the institutional level with cross-ministerial committees to map out a national strategy. Getting the different ministries and planning agencies together in one room to discuss priorities can easily become an unruly process. This is where a common language and framework can help. If you are the minister of, say, agriculture, you want to advance action to reach your targets – such as improving the productivity of smallholder farmers (2.3) or end malnutrition for a vulnerable group such as children (2.2). By talking through interactions of these targets with other key SDG targets one by one, policy-makers and sectoral experts can start identifying the clusters of policies and goals that work well together, that enable or reinforce each other. For example, a strategy for building up modern agro value-chains domestically could improve farm productivity, and at the same time contribute to better participation of women in economic life (5.5), enhance rural employment opportunities (8.5) and go hand in hand with improved resource efficiency and creation of small businesses (8.6). Such a strategy could, for instance, form the central element of national implementation. The targets where interactions are negative need to be managed more carefully and supported by ancillary measures that mitigate negative side effects, for example through better governance or introduction of better technologies. Intensification of agricultural production can, if pursued in the wrong place and/or governed poorly, exacerbate water stress (6.4) and increase pressure on ecosystems integrity and biodiversity (15.5). This type of interaction analysis across Agenda 2030 would allow policymakers to figure out which sectors (within government and outside) could be allies - and conversely where negotiation would be required. Such an approach not only serves to clarify how the SDG puzzle fits together in a particular context, it promotes better governance by encouraging coalitions between ministries, agencies, businesses and local communities to achieve synergies and facilitates the negotiation of compromise among competing priorities. The challenge now is that the empirical evidence base for most of these interactions is largely lacking today. We don’t sufficiently understand where synergies and trade-offs lie. Research needs to generate much more evidence on interactions and build a context-specific knowledge base for all countries in the world. The International Council for Science (ICSU) is now taking the first steps in building this evidence base through mobilising research teams on several key SDG areas in selected countries and regions. In parallel it will engage policy analysts and policy makers to participate in the development on these case studies. The report comprising these studies will be released later this year. One of the key priorities for this work is to go through the SDGs and identify key clusters of targets where there are important synergies or conflicts. We hope that the research work will lead to an understanding which allows policy makers to anchor SDG implementation strategies around such key nodes. This would be a big first step towards making the perfect world of the SDGs a reality.